Israel summoned the ambassadors of 10 nations to Jerusalem to reprimand them on Sunday and had more harsh words for the Obama administration over a U.N. Security Council resolution demanding an end to settlement-building. TEL AVIV—Israeli Prime Minister Benjamin Netanyahu summoned the U.S. ambassador on Sunday to lodge a protest over the Obama administration’s failure to block a United Nations resolution that condemned Jewish settlements in the West Bank, Israeli officials said. The Israeli foreign ministry also summoned top diplomats from 10 of the 14 countries who voted in favor of the resolution that deemed the settlements illegal and an obstacle to peace, the officials said. Israel doesn’t have diplomatic relations with some countries that voted for the U.N. Security Council resolution on Friday, such as Malaysia, while other countries don’t have permanent representatives in the country. It was the first time in 36 years the Security Council was able to adopt a resolution condemning Israeli settlement construction in the West Bank and East Jerusalem. It was approved with 14 members in favor and the U.S. abstaining, while in the past the U.S. had used its veto power to block such resolutions. Israel expressed its consternation to U.S. ambassador Daniel Shapiro at a meeting in the prime minister’s office, insisting the resolution wouldn’t help to bring Israelis and Palestinians together for talks, according to an Israeli official. In Washington, a U.S. State Department spokesperson confirmed that Messrs. Netanyahu and Shapiro were scheduled to meet Sunday, but declined to comment further. “Acts such as these hinder peace and [do] not promote it. That was the message,” said another Israeli official, adding that representatives of the U.K., China, Russia, France and other states had individual meetings with Israeli officials. The reprimand of diplomats follows two days of Israeli condemnations of the White House administration for allowing the U.N. resolution to pass. It underscored the deep disagreements between President Barack Obama and the Israeli leader over the Israeli-Palestinian conflict. A spokesman for the prime minister’s office declined to comment further on the content of the discussion between Messrs. Netanyahu and Shapiro. Earlier on Sunday, Mr. Netanyahu again accused the U.S. of concocting the resolution with the Palestinian leadership to undermine Israel. “We have no doubt that the Obama administration initiated it, stood behind it, coordinated on the wording and demanded that it be passed,” Mr. Netanyahu told the weekly cabinet meeting, according to a statement from his office. The White House denies that it colluded with the Palestinians to put forward the resolution and argues that its abstention was in line with decades of Democratic and Republican policy. U.S. officials have said the administration repeatedly warned Israel against settlement building in the West Bank and has been alarmed at the growth in construction this year. 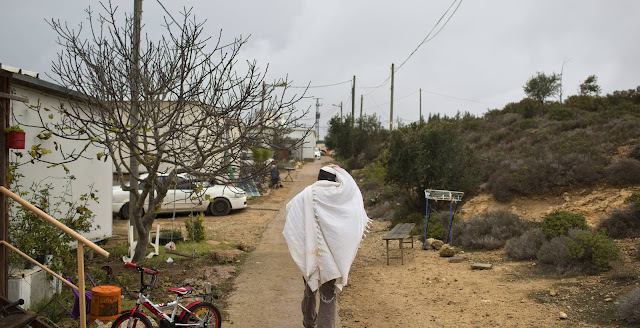 About 430,000 Jewish Israelis live in the West Bank, according to the Yesha Council, an NGO representing settlers. Another roughly 200,000 live in East Jerusalem, according to Peace Now, another NGO. About 3.9 million Palestinian live in the West Bank and East Jerusalem, according to the Palestinian Authority’s bureau of statistics. Mr. Netanyahu’s official policy is to pursue a separate Palestinian state. But he has also overseen an increase of more than 100,000 settlers since winning power for the second time in 2009. Israel started construction of 1,195 housing units in the West Bank during the first six months of the year, up 40% compared with the second half of 2015, according to monitoring group Peace Now. The U.N. vote followed days of international diplomatic drama as Israel directly lobbied President-elect Donald Trump to intervene against the adoption of the resolution. Mr. Trump lobbied against the resolution and called Egypt’s President Abdel Fattah Al Sisi to press the Arab leader to oppose the resolution. Egypt initially drafted the resolution for a vote on Thursday last week. But after the conversation between Messrs. Trump and Sisi, it pulled the resolution. The final resolution was instead co-sponsored by New Zealand, Malaysia, Venezuela and Senegal. Israeli government ministers and opposition lawmakers opposed the U.S. decision as did U.S. congressmen from both the Democratic and Republican parties. Mr. Trump on Saturday reiterated his support for Israel, saying the U.N. resolution would make it much harder to negotiate peace. “Too bad, but we will get it done anyway!” the president-elect tweeted. The last round of U.S.-brokered peace talks collapsed in 2014 over disputes about land and settlements. Mr. Netanyahu has repeatedly called on Palestinian Authority President Mahmoud Abbas to return to talks without preconditions. The Palestinians have instead sought to put pressure on Israel in international bodies to make concessions on key issues such as settlements and the status of Jerusalem. Jerusalem (CNN)Israeli Prime Minister Benjamin Netanyahu summoned the US ambassador and launched a scathing attack Sunday on the Obama administration after its refusal to veto a UN Security Council resolution condemning Israel's settlements in the West Bank. The United States abstained on the resolution, allowing it to pass, rather than vetoing it -- as it usually does with resolutions it sees as overly critical of Israel, leading to US Ambassador Daniel Shapiro being summoned, an Israeli official told CNN Sunday. "We can confirm‎ Ambassador Shapiro will meet with PM Netanyahu this evening. We will have n‎o other details to offer," a State Department spokesperson told CNN. The move comes hours after 10 other ambassadors from countries that supported the resolution were also called in and followed Netanyahu's strong criticism of the Obama administration in his weekly cabinet meeting. 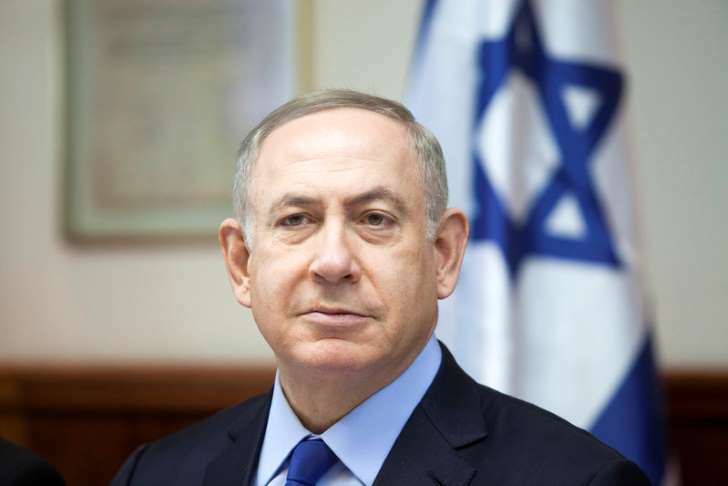 "From the information that we have, we have no doubt that the Obama administration initiated it, stood behind it, coordinated on the wording and demanded that it be passed," Netanyahu, speaking in Hebrew, told ministers on Sunday. Netanyahu also took aim at the US Secretary of State, adding in English: "As I told John Kerry on Thursday, friends don't take friends to the Security Council." His office released a copy of the remarks, with translation, on his website. "Over decades American administrations and Israeli governments have disagreed about settlements, but we agreed the Security Council was not the place to resolve this issue," Netanyahu said. Netanyahu spokesman David Keyes told CNN's Dana Bash on Sunday, "We have iron-clad information, frankly, that the Obama administration really helped push this resolution and helped craft it, from sources internationally and sources in the Arab world." US officials did not immediately respond to CNN questions about the comments, but on Friday, Obama's Deputy National Security Adviser Ben Rhodes rejected similar accusations. "President Obama's track record on Israel's security is clear. Anybody can review it. But, in fact, I'd take umbrage at language that suggests that this was our preferred course of action and that we initiated it," Rhodes said. "With respect to this resolution, we did not draft this resolution; we did not introduce this resolution. The Egyptians, in partnership with the Palestinians, are the ones who began circulating an earlier draft of the resolution. The Egyptians are the ones who moved it forward (Thursday). And we took the position that we did when it was put to a vote." Husam Zomlot, senior adviser to Palestinian President Mahmoud Abbas, told Bash he believed Kerry wasn't involved in pushing for the resolution and that the US "just cast its position based on its long-held policy." Zomlot said remarks by US Ambassador to the UN Samantha Power after the vote "represents the long-standing, unwavering policy of the US that considers settlements to be illegal and must cease." Earlier Sunday, Israel summoned the ambassadors of 10 countries that voted for the resolution. The Israeli Foreign Ministry said ambassadors were called in for Israel "to express deep anger and dissatisfaction as a result of the vote of countries that consider themselves friends of Israel," ministry spokesman Emmanuel Nachshon said. "This was not a vote in favor of peace. It was a vote against Israel." Ambassadors from China, France, Russia, the United Kingdom, Angola, Egypt, Japan, Spain, Ukraine and Uruguay were all summoned. Israel was furious at the passage of Security Council resolution 2334, which says its settlements in the West Bank "had no legal validity, constituting a flagrant violation under international law and a major obstacle to the vision of two States living side-by-side in peace and security." The presence and continued construction of Israeli settlements in the West Bank violate the Fourth Geneva Convention, which states: "The occupying Power shall not deport or transfer parts of its own civilian population into the territory it occupies." Previous Security Council resolutions, as well as the International Criminal Court of Justice, have stated that settlements are illegal under international law. On Friday, the US allowed the latest resolution to pass, defying extraordinary pressure from Netanyahu's government. The Security Council approved the resolution with 14 votes, with the US abstaining. Four of the countries do not have permanent ambassadors in Israel. There was applause in the chamber following the vote, which represented perhaps the final bitter chapter in the years of antagonism between President Barack Obama's administration and Netanyahu's government. President-elect Donald Trump had also embroiled himself in the diplomatic action, in defiance of the convention that the United States has only one president at a time, by calling on the Obama administration to wield its Security Council veto. Speaking at his start of week cabinet meeting Sunday, Netanyahu said he shared the "feelings, anger and frustration vis-à-vis the unbalanced resolution that is very hostile to the State of Israel, and which the Security Council passed in an unworthy manner." He added: "We will do whatever is necessary so that Israel will not be damaged by this shameful resolution and I also tell the ministers here, we must act prudently, responsibly and calmly, in both actions and words." The US and most other nations consider Israeli settlements in the West Bank and East Jerusalem as an obstacle to a two-state solution between Israelis and Palestinians. There are more than 500,000 Israeli settlers living in 137 settlements spread throughout the West Bank, according to Human Rights Watch. The Obama administration, which mounted two failed efforts to broker Middle East peace, became increasingly angry about continued Israeli settlement expansion during its eight years in the White House. The Palestinians accuse Israel of trying to establish facts on the ground by building on land they view as part of their future state. 0 Response to "Israel, angered by anti-settlement U.N. vote, summons foreign ambassadors"